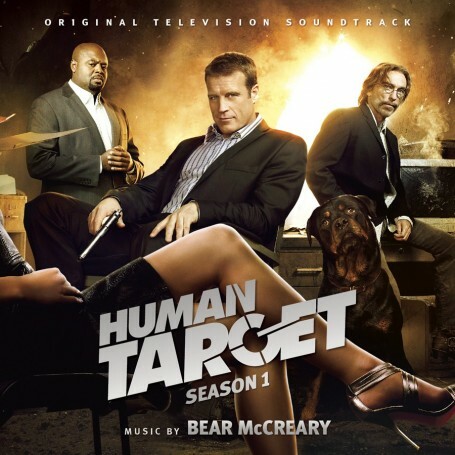 Presenting acclaimed composer Bear McCreary’s (BATTLESTAR GALACTICA, CAPRICA, EUREKA) original orchestral score to the first season of the Warner Bros. television series HUMAN TARGET, starring Mark Valley, Chi McBride and Jackie Earle Haley. McCreary’s robust, Emmy-Nominated score to this action-packed series featured an average of 60 live players per episode, making it the “largest group of musicians to play on a live-action television series in years,” according to Variety. Four of the tracks included on this deluxe 3 CD-SET are from the first season finale, which features an unprecedented 94 musicians. 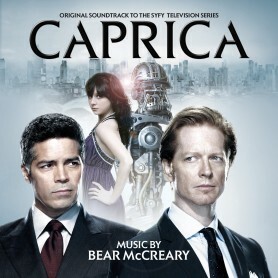 This limited edition set, produced by Bear McCreary and mastered by Patricia Fourstar Sullivan at Bernie Grundman Mastering, features a 3rd disc of bonus tracks with alternate cues and demos - exclusive only to this release. HUMAN TARGET Executive Producer/Writer Jonathan E. Steinberg, Bear McCreary and actor Mark Valley contribute liner notes for the CD set’s 20 Page booklet. This is a limited edition of 2000 Units.